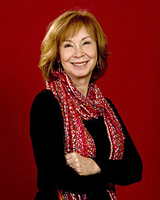 Diane Chamberlain is the best-selling author of 18 novels. Her books, frequently set in the southeastern United States, are complex stories about love, compassion and forgiveness with a touch of mystery and suspense. Diane was born and raised in Plainfield, New Jersey, and attended Glassboro State University. She also lived for many years in both San Diego and northern Virginia. Diane received her master’s degree in clinical social work from San Diego State University. Prior to her writing career, she was a hospital social worker and a psychotherapist in private practice, working primarily with adolescents. Diane’s background in psychology and her work in hospitals have given her a keen interest in understanding the way people tick, as well as the background necessary to create real, living, breathing characters. Diane has three married stepdaughters,three grandchildren, and two shelties. She lives with photographer John Pagliuca in North Carolina where she’s at work on her 19th novel. Actress Eden Riley’s decision to make a film about her mother plunges her into a shattering confrontation with her own past, irrevocably altering her life and the lives of those she loves. When Susanna Miller loses custody of her eleven-month-old son, Tyler, to her ex-husband and his new wife, she dyes her hair, changes her name and escapes from Boulder, Colorado, leaving behind everyone she knows, including Linc Sebastian, the man who has been her best friend since childhood and who knows her better than anyone.